Last Friday 13 November, the federal government released the shortlisted sites of the proposed national radioactive waste facility. No surprise that three are in South Australia, the 'expendable state': Cortlinye and Pinkawillinie near Kimba on Eyre Peninsula, and Barndioota near Hawker, north of Port Augusta. I wonder if South Australians aren't beginning to feel like nuclear particles themselves, bombarded on all sides by the nuclear industry. This announcement from the federal government about its nuclear repository plans comes as the state government continues to consider, through its Royal Commission, whether, when and where South Australia will offer to host the world's high-level nuclear waste. 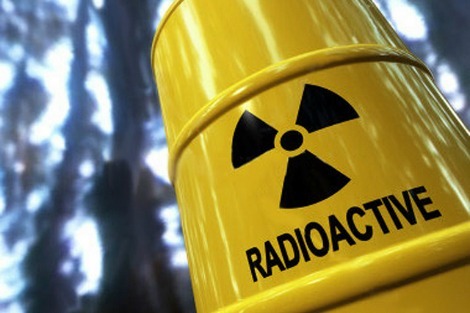 In reality, only 10–20 per cent of the radioactive waste is medical in origin. And nuclear medicine is in no way affected by the lack of a national repository. It's interesting to notice what's different and what stays the same from the 1998–2004 'dump' campaign in SA. Former science and energy minister Nick Minchin's ultimately unsuccessful task back then was the imposition of a national dump on a South Australian community. His favourite low-level waste examples were watches that shine in the dark. 'Despite the name, spent fuel is orders of magnitude more radioactive than the original uranium ore. The spent fuel reprocessing waste returning from France will be stored at Lucas Heights, south of Sydney, and is then destined for 'interim' above-ground storage at one of the six sites. The farmer opponents of the Kimba sites are right to be concerned. The spent fuel reprocessing waste will be hazardous for thousands of years. All the while, the push for welcoming the world's most dangerous material continues within SA — despite 40 per cent of SA's electricity currently supplied by renewable energy. It's interesting how ethics enters the debate on the pro-nuclear side. With uranium just .02 per cent of the nation's export dollars, Premier Weatherill has quoted 'some' who saw that because SA has 70 per cent of Australia's uranium reserves 'we're duty bound to play our role in storing the waste'. In a signed letter to me earlier this month he was more direct. The environmentalist refutation is more logical. The people do not choose to export uranium, but governments and companies do. If any government imports uranium then, just as with any other product, they import the responsibility of dealing with it. As South Australia contemplates the renewed prospect of hosting both national and international radioactive waste sites, the stakes are high, especially for local Aboriginal populations whose collective memories include both the British mainland atomic tests of the 1950s and 1960s, and the successful campaign of 1998–2004 opposing a proposed national dump. 'We don't want the nuclear waste to be on our lands,' Mima Smart, chairperson of Yalata, told me. Yalata is the place to which the people of the Maralinga Lands were removed to in 1952, a year prior to the first mainland explosion in the British nuclear test series. Concern that nuclear disposal is done in a safe, professional, and transparent way is one thing, using that concern to feed irrational fear of all things nuclear is another. The nuclear industry is a fact of life, and like other industries it has both beneficial and adverse effects. If you think that the latter outweigh the former, then say goodbye to nuclear medicine and many other benefits. But let's have a rational rather than an emotional debate first. We owe it ourselves and the future to use, albeit with full care and responsibility, the enormous potential and real benefits of God-given natural radioactive chemicals . We also need to be responsible in looking after the waste that arises from non-military use. Given the topography and geology of Australia we could do this for the world; do it very well and safely and enhance our economy and that of outback peoples in the process. Misleading to equate regulated waste disposal and storage with detonation of nuclear weapons. Europeans with long experience of safe management of large volumes of radioactive waste near valuable agricultural land would find such claims strange. There is a national responsibility to safely store our waste products of the nuclear industry. Nuclear medicine waste is currently not being stored to the highest possible standards in Australia. This waste, (10-20% of the total according to the author), should of itself justify the need for a probably designed and managed national waste facility. The author appears not to give this national lack of storage disgrace any due recognition. The establishment of such a facility needs to happens sooner than later for the wellbeing of all. This material came from the earth. We should return it to the earth. The actual quantifiable risks from the proposed storage methods are in fact vanishingly small. I would be quite happy to keep some buried in my back yard. Please, no more fear mongering. Great article, Michelle! This needs to go into the Advertiser and other mainstream papers. I loose sleep over this issue. The waste will be hazardous for 100,000 years. All proposed sites are not isolated, they connect to other countries above and below our earth. Roads that transport the waste to a site passes through many Aboriginal peoples countries. STOP the dumping of national and international radioactive waste. Thanks Michelle for responding to the various comments; it is appreciated. I guess my comment was provoked as much by the heading to your article as by the content. I recognise that the heading may not have been your work. It seems to me that you present some strong arguments in support of your position which, like contrary arguments, need to tested rationally. I would have thought that a Royal Commission was a reasonable way to do that. But thank you for bringing the issue to my attention, it is something of which I was previously barely aware. Michele, I work with hundreds of Aboriginal people who want uranium mining and nuclear power. This thought that aboriginals are against all things uranium is a myth! Apologies for miss-spelling your name Michele. Thought-provoking and challenging article. Michele. It is true that Aboriginal people may be the most affected in the short term, with serious consequences for many individuals, as well as more widespread effects on their communities. But the truth is that every Australian may be affected in the long-term, with problems for multiple generations of our "grandchildren". Don`t forget that a half-life of 100,000 years means that 50% of the radioactivity is retained at that time, and 25% is retained for a further 100,000 years !. Congratulations to Michele Madigan on her article on Maralinga. In the 1980s, I wrote an article for the SA Teachers Journal about the concern that health authorities had about the myriads of small plutonium particles left in the soil at Oak Valley that were left by the British scientists who conducted the Maralinga nuclear tests. The article was based on Robert Milliken's book, "No Conceivable Injury" which gave an account of the Royal Commission into the Maralinga tests led by the colourful Justice "Diamond" Jim McClelland. Apart from the Aborigines who had died because of exposure to radiation or starvation because they were cut off from their food supply, there was great concern about the specks of plutonium in the dust around Oak Valley as there was a traditional Aboriginal school there. A former professor in public health at Sydney University told me that if children inhaled the dust contaminated with plutonium, they would develop lung cancer fairly quickly. We should learn from the mishandling of an effective clean-up after those criminally irresponsible tests and not be expecting the Aboriginal people in the north of SA to share their land with nuclear waste from around the world.